A piece of promotional material, about 2 inches in diameter, originally supplied with a card and paper hat, now unfortunately long gone. 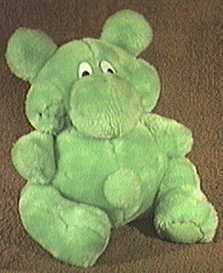 This was actually found by my mother recently in her kitchen dresser drawer, having lain there forgotten for many years. 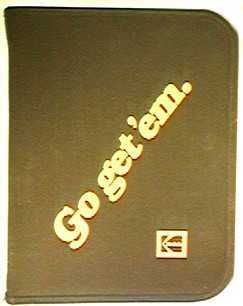 This is the box Kodak returned 110 Kodachrome slides in. Made in Germany, when the lid is removed and attached to the base of the box by the two moulded lugs, a basic slide viewer is formed, allowing an instant preview of ones latest efforts. The film for this particular example was bought by my sister by mistake! 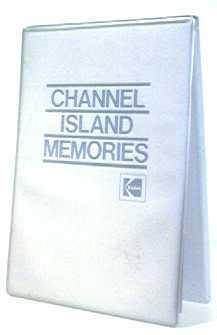 Presumably a local promotional item, comprising 10 transparent 6x4" wallets in a silver-coloured stiffened vinyl folder. The Channel Islands referred to are those in the English Channel, about 49N 2W. 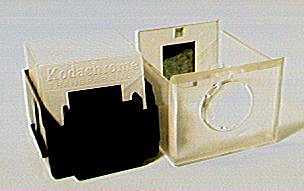 A zip-up case, approximately 11x9", with three elasticated retainers inside, apparently for the presentation of Disc cameras. The paperwork contained implies these were the 3100, 4100 and 6100, which would date it to about 1984. 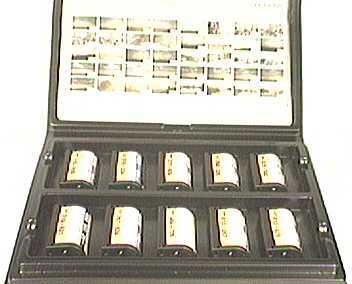 A feature of the Advanced Photo System, this case holds 10 Advantix films and their respective contact sheets. According to the Kodak Canada website, 750,000 KOLORKINS were distributed by Kodak Canada, 20,000,000 KOLORKINS were distributed by Kodak worldwide! A screensaver for the PC, featuring the miniature Kolorkins Max, Zoom, Digit, Click and Check, released in 1999, was (and still may be) available here. 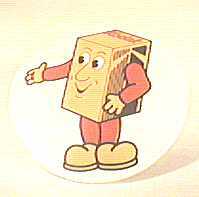 Released as part of Kodak Canada's centennial celebrations in 1999, the red, blue, green and yellow Mini Kolorkins were available as part of various promotions. I believe, originally, the black figure, Check, was only available from Kodak Canada once the other four had been collected, though as I write this, there is a draw running on the Kodak Canada website for a complete set, available only to Canadian residents. A screensaver for the PC, featuring the miniature Kolorkins was released in 1999, and still may be available here.